The 20-year-old has had a fantastic start to his Sharks career for 2009 having bagged seven goals from midfield but the former Penrith Nepean United player is gunning for finals football. ?I have been happy with the goals and performances this year but to me, it?s all about getting as high as possible on the TeleChoice Premier League ladder and playing finals football come end of the season. ?I believe we have the team to do it and I know with a positive run of decent results we can go as far up the table as possible but I know it will be all down to consistency.? The Sharks are currently in fifth position with 23 points, two more than sixth placed Bonnyrigg White Eagles who have rejuventated themselves ever since the appointment of ex-Sharks boss Brian ?Bomber? Brown. Nikas stated to Football NSW that achieving positive results and playing good football will be the key in the Sharks push for the finals series. ?The boys set out a few goals at the start of the season and one was to play finals football so we are all gunning for that. ?We?re also still in the Tiger Turf Cup and I know we will be pushing hard to get as far as possible with that. ?We?re in the Quarter-Finals now so anything can happen.? Nikas was the star of the show in the Sharks? round 4 clash as they defeated the Marconi Stallions 4-1 with Panny grabbing a hat-trick at Seymour Shaw. ?I was pleased with how things went last week against Marconi, it was a tough game but we battled it out and got the victory we needed. ?The boys played really well and I know everyone of them would be looking at lifting up silverware come end of the year.? White Eagles coach Brian ?Bomber? Brown knew that he needed a couple of new faces in reshaping the squad after its dismal start to the TeleChoice Premier League and thus far his new recruits have paid dividends in their plight to play finals football after a short lay-off in NSW?s top tier competition. Former Australian youth international Jay Lucas was brought to the club from Illawarra Premier League outfit Albion Park White Eagles and his introduction has been tremendous having scored a couple of handy goals in assisting with Bonnyrigg?s fight for a finals series finish. Joining Lucas in the team half-way through the season has been former Falkirk defender Graeme Forbes (21) and former Gretna left midfielder Ryan Baldacchino (28). The pair have been playing football in Scotland but decided to come home in the hope of winning an A-League contract. A touch of Samba flair has been added to the White Eagles roster also as 25-year-old Brazilian striker Carlos Guimaraes agreed to terms with the club. The final two players that the White Eagles recruited hailed from Serbia as midfielder Vukasin Ristic (29) and striker Dejan Zivkovic (29) both made their debuts in the club?s 1-0 victory over Penrith Nepean United in their round 15 clash at Cook Park. The club has since released former club captain David Petrovic, midfielder Drazen Janjic, strikers Eric Nyamekye, Frederick Graham, midfielder Nathan Rivera and attacker Antonio Faria. The match commenced in fierce fashion as Graeme Forbes was yellow carded for a challenge on Greg Kondek. Then just after the 10? minute mark, Paul Cotte also fouled Kondek as he pounced on a ball in the attacking third for Penrith, about the second time Penrith had been there in the match. Matthew Nash had already seen off some early trouble from a Daniel Willoughby free-kick but in the 17? minute he was unable to get to one of Willoughby?s corners, and at the far post, Forbes fiercely headed the ball home to give the visitors the lead. It marked the beginning of long periods of dominance by Bonnyrigg, but time after time they failed to capitalise with a shot on target. Bonnyrigg was especially effective down the right flank but overplayed the ball too much rather than putting the ball in on target. Penrith on the other hand were handing over possession far too easily and, despite being at home, played as if they were on a perfect surface rather than the one presented to them at Cook Park. In the closing minutes of the opening half – the half?s other main highlights were condensed – with Ante Juric cutting off a dangerous run from Willoughby, a chip shot from Andre Gumprecht just going over the cross bar, and Nikola Zonijc pouncing on a loose ball only for his shot to just curl over the target as well. 7? minutes into the second-half and Tayfun Devrimol, playing in an unusual position for him further up the park, but being very effective at it, was fouled on the edge of the area. Matthew Nash punched the dangerous Willioughby free-kick away magnificently. Willoughby was not finished though, as again he beat off his marker and laid a ball across the face of goal. Jay Lucas was only a metre away from tapping it in for the second goal of the match. Penrith-Nepean broke quickly through Nic McInerney who played the ball through to Greg Kondek but the Bonnyrigg players scrambled back well and diffused the attack. Then, on the hour, McInerney was himself played in through a great ball from Paul Crisp but his shot was off target; squandering a huge chance for the home-side. 4? minutes later it was Kondek playing the ball to Ben Gough but the defence got to him before he could fire off a shot. After the hour momentum turned the way of Bonnyrigg again but despite long periods of possession, and great balls into the attacking third, they failed to put Matthew Nash under any real pressure until the 75? minute. At that time new Serbian substitute Vukasin Ristic played the ball across goal towards an advancing Milorad Simonovic, but the ball went wide of his run when anything a little better would have seen Simonovic set up for a great chance. A minute later, Jay Lucas had a curling shot well saved by a diving Nash in the Penrith goal. Lucas seemed to miss having another player up front with him as leading goal scorer Almir Dizdaric was on the bench for the match. In the 81? minute a corner from McInerney was headed goalwards by Ante Juric at the near post. It beat the keeper and was heading across the line when a Bonnyrigg defender was able to dig it clear of the target. It looked like a goal but the save off the line was incredible, and thus the match?s best chance for Penrith came to nothing. Juric went down in the area moments later, though the appeals of a penalty were waved away by the referee. In the last action of the match Juric had the ball but he fired it wide of the target as the game was brought to a finish by the referee. ?This was always going to be a hard slog for us tonight and so it turned out to be. ?We had spells where we dominated possession but the system we played tonight did not help the front third, and Jay Lucas needed more support at times. However we are building momentum and things are going right for us at present.? ?I thought we deserved to get something out of tonight. We are one of the most competitive teams in the league as we showed out there again and we are only going to get more competitive as our players (Gardiner, Baveas, Buyukkopru, Lazarou, Mitchell, Long) return from injury. ?Every team that play us will find it more and more difficult here. We are a tight knit group, who work hard as a unit and move forward as a unit, the type of culture any club would love to have.? Yellow Cards: Ben Gough 35?, Ante Juric 78?, Paul Crisp 85? Yellow Cards: Graeme Forbes 4?  Former Socceroos keeper Mark Bosnich will be an interesting figure in the Blues goal while for the White Eagles, former Central Coast Mariners midfield general Andre Gumprecht will make his debut for the club. Gumprecht was part of the Bankstown City Lions side during last season?s TeleChoice Premier League and was headhunted by a number of clubs for this season however Brian Brown won the race in recruiting the ace midfielder.